Lahul & Spiti are situated in the mountain range between Ladakh and Tibet in the north and the Kullu valley in the south. 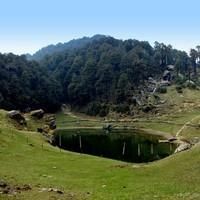 Lahul is 51 Km away from the city of Manali. It is basically a dry barren mountainous terrain with some green areas. It has some interesting Buddhist gompas and secluded villages. It is surrounded by mountain vegetation giving the place an exotic feeling and view. We offer Lahul & Spiti Tour Packages to the tourist in the most professional way. We take utmost care to make your Lahul & Spiti Travel a pleasurable one with our value added tourist services. We are one of the most preferred Lahul & Spiti Travel Agents in the country.